Thomas Edison (1847 – 1931) was an American inventor and businessman who developed and made commercially available – many key inventions of modern life. His Edison Electric company was a pioneering company for delivering DC electricity directly into people’s homes. He filed over 1,000 patents for a variety of different inventions. Crucially, he used mass-produced techniques to make his inventions available at low cost to households across America. His most important inventions include, the electric light bulb, the phonograph, the motion picture camera, an electric car and the electric power station. Thomas Edison was born in Milan, Ohio on Feb 11, 1847, the youngest of seven siblings. His parents were middle class, though they were not wealthy. In particular, the family struggled when the railroad bypassed Milan, forcing the family to move to Port Huron, Michigan. 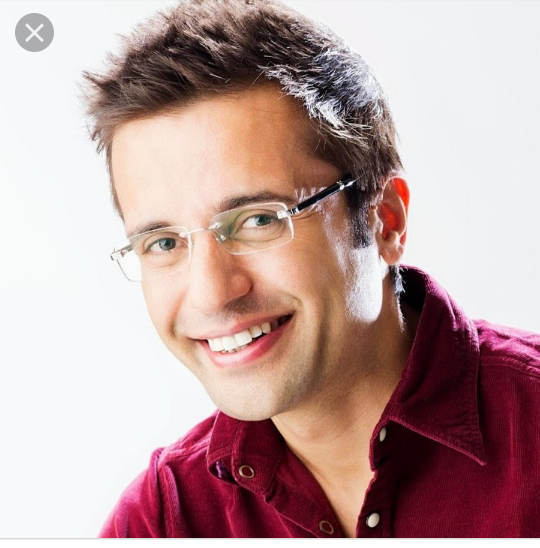 He attended only three months of formal schooling – he irritated his teachers with his repeated questioning and inability to just follow instructions. He was largely disinterested at school and was mainly self-educated through reading. He took upon it himself to read every book on the library shelf. By the age of 12, he was reading Sir Isaac Newton’s famous work – Principia Mathematica. However, Edison was not impressed by the complex maths of Newton and resolved to try and make science more understandable. As a youngster, he tried various odd jobs to earn a living. This including selling candy, vegetables and newspapers. He had a talent for business, and he successfully printed the Grand Trunk Herald along with his other newspapers. This included selling photos of his hero, Abraham Lincoln. He was able to spend his extra income on a growing chemistry set. Unfortunately, from an early age, Edison developed a severe deafness, which ultimately left him almost 90% deaf. He would later refuse any medical treatment, saying it would be too difficult to retrain his thinking process. He seemed to take his deafness in his stride, and never saw it as a disability. Edison had a big break when he saved a young boy on the railway track from being struck by a runaway train. His grateful father, J.U. Mckenzie, had Edison trained as a telegraph operator and, aged 19, Edison moved to Louisville, Kentucky to work as a telegraph operator for Western Union. From childhood, Edison loved to experiment, especially with chemicals. However, these experiments often got Edison into difficulties. A chemistry experiment once exploded on a train, and when working on a night shift at Western Union, his lead-acid battery leaked sulphuric acid through the floor onto his boss’ desk. Edison was fired the next day. 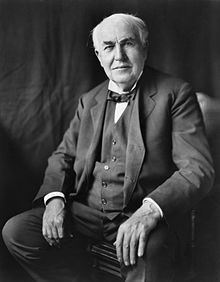 However Edison was undimmed and, despite scrapping by in impoverished conditions for the next few years, he was able to spend most of his time working on inventions. He received his first patent on June 1, 1869, for the stock ticker. This would later earn him a considerable sum. In the 1870s, he sold the rights to the quadruplex telegraph to Western Union for $10,000. This gave him the financial backing to establish a proper research laboratory and extend his experiments and innovations. Edison once described his invention methods as involving a lot of hard work and repeated trial and error until a method was successful. By 1877, he had developed the phonograph (an early form of the gramophone player) This received widespread interest, and people were astonished at one of the first audio recording devices. This unique invention earned Edison the nickname ‘The Wizard of Menlo Park‘ Edison’s device would later be improved upon by others, but he made a big step in creating the first recording device. With William Joseph Hammer, Edison started producing the electric light bulb, and it was a great commercial success. Edison’s great advance was to use a carbonised bamboo filament that could last over 1,000 hours. In 1878, he formed the Edison Electric light Company to profit from this invention. Edison successfully predicted that he could make electric light so cheap, it would soon come universal. To capitalise on the success of the electric light bulb, he also worked on electricity distribution. His first power station was able to distribute DC current to 59 customers in lower Manhattan. Edison’s studios now took up two blocks, and it was able to stock a huge range of natural resources, meaning that almost anything and everything could be used in trying to improve designs. This was a big factor in enabling Edison to be so successful in this era of innovation. This became known as the ‘current war’ and both sides were desperate to show the superiority of their system. The Edison company even, on occasion, electrocuted animals to show how dangerous the rival AC current was. During World War One, Edison was asked to serve as a naval consultant, but Edison only wanted to work on defensive weapons. He was proud that he made no invention that could be used to kill. He maintained a strong belief in non-violence. Edison was also a great admirer of the Enlightenment thinker Thomas Paine. He wrote a book praising Paine in 1925; he also shared similar religious beliefs to Thomas Paine – no particular religion, but belief in a Supreme Being. Edison made many important inventions and development in media. These included the Kinetoscope (or peephole view), the first motion pictures and improved photographic paper. After the death of his first wife, Mary Stilwell in 1884, Edison left Menlo Park and moved to West Orange, New Jersey. In 1886, he remarried Mina Miller. In West Orange, he became friends with industrial magnate, Henry Ford and was an active participant in the Civitan club – which involved doing things for the local community. His pace of invention slowed down in these final years, but he still kept busy, such as trying to find a domestic source of natural rubber. He was also involved in the first electric train to depart from Hoboken in 1930. He had six children, three from each marriage. Edison died of diabetes on October 18, 1931.